FIMS aims primarily to promote the study and development of sports medicine throughout the world, to protect the physical and mental health and ensure the wellbeing of all who are engaged in sports and exercise and to assist athletes in achieving optimal performance by maximizing their genetic potential, health, nutrition and (access to) high-quality care and training. Our Standing Commissions address scientific, educational, collaborational and development issues. 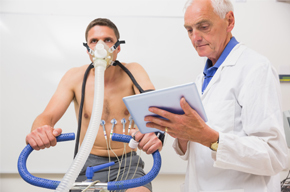 Click here for Opportunities in Sports Medicine and Research around the world. "I am sure that this collaboration will strengthen our relationship with the sport, scientific and medical communities."